Women who had delivered a macrosomic newborn will have a higher risk to deliver another macrosomia. We aimed to examine the recurrence risk of macrosomia in the subsequent pregnancy and the implications in long-term child health. Data from the Collaborative Perinatal Project, a longitudinal birth cohort with 54,371 singleton births, were used. 401 recurrent macrosomic infants (macro-macro) and 1327 normal weight babies with a macrosomia in the last pregnancy (macro-normal) were selected to explore risk factors for recurrent macrosomia. Furthermore, 768 newly onset macrosomia with normal birthweight infant in previous pregnancies (normal-macro) were identified to examine long-term health effects of recurrent macrosomia. The recurrent rate of macrosomia was 23.2% [95% confidence interval (CI) 21.2%, 25.2%]. White race, higher pre-pregnant body mass index (BMI), more gestational weight gain, male infant and more prior macrosomic infants were significant risk factors for recurrent macrosomia. 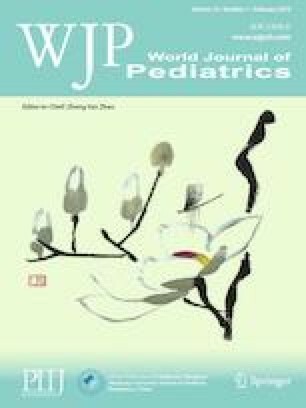 At 4 years of age, recurrent macrosomic infants had a higher BMI (16.7 vs. 16.1 kg/m2, adjusted β: 0.36, 95% CI: 0.12, 0.60) and a higher risk of overweight and obesity (adjusted OR: 1.56, 95% CI: 1.10, 2.23) than infants with normal birthweight after a previous macrosomic sibling. There was no significant difference between recurrent macrosomia and newly onset macrosomia in child outcomes after adjustment for covariates. Fetal macrosomia has a high recurrence rate in the following pregnancy. Higher maternal pre-pregnant BMI and gestational weight gain are still important risk factors for recurrence of macrosomia, which in turn increases the risk for childhood obesity. The online version of this article ( https://doi.org/10.1007/s12519-019-00249-z) contains supplementary material, which is available to authorized users. JZ and HDC conceived the research. FF analyzed data and drafted the manuscript. All authors were involved in revising the paper critically and approved the final version of the manuscript. Anonymized data were used for this study, rendering an ethical approval unnecessary by the Institutional Review Board of Xinhua Hospital.